"The leaders are always vulnerable here and last year’s winner, Kodaira, was matched at [700.0] before he began the final round six off the lead. And he’s far from the first to win from off the pace." The late great Arnold Palmer won the inaugural staging of the RBC Heritage back in 1969 so this will be the 51st edition of the tournament. Harbour Town Golf Links, Hilton Head, South Carolina. Assisted by Jack Nicklaus, Hilton Head was designed by Pete Dye, who also designed Sawgrass, home of the Players Championship, and it's always been the event's venue, so there's plenty of course form to go on. The fairways aren't overly narrow but you do need to find the right spot on them to attack the tiny Bermuda greens that usually run at around 10.5 on the stimpmeter. It's one of the players favourite stop-offs on the PGA Tour and while it's not quite up to the splendour of Augusta National, it's still very easy on the eye. Live on Sky Sports all four days with Featured Group coverage starting at 12:15 UK time on Thursday. 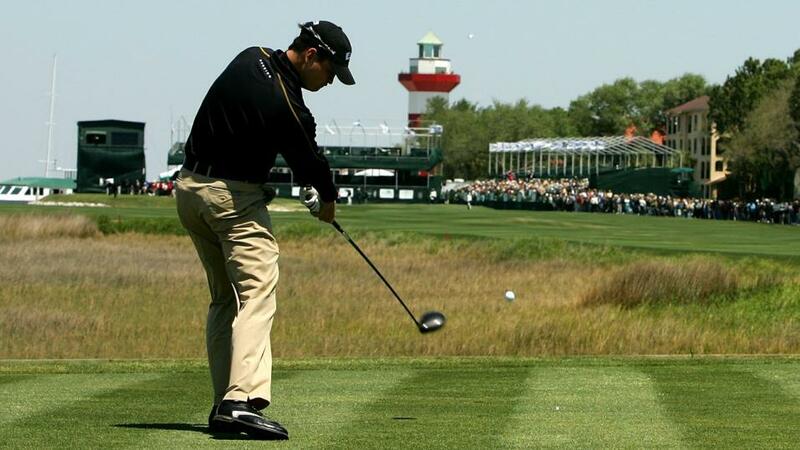 What Will it Take to Win the RBC Heritage? This is a strategical track and Driving Distance is an irrelevant stat. The best any winner has ranked over the last ten years for DD is 31st and the last five have ranked 65th, 51st, 37th, 75th and 56th! Driving Accuracy is of far more importance and last year's winner, Satoshi Kodaira, ranked fourth for D.A. He was the seventh winner in the last ten years to rank inside the top-ten for D.A but I wouldn't consider it an absolutely essential stat given the two winners before him, Wesley Bryan and Branden Grace, ranked 55th and 57th. Kodaira ranked seventh for Greens In Regulation and, as was the case with D.A, that was the seventh time in ten years that the winner had ranked inside the top-ten for that stat but again, it isn't the key stat to concentrate on. Putting used to be the go to skillset, with six of the seven winners between 2006 and 2012 having a Putting Average ranking of sixth or better but the last six winners have ranked 24th, 36th, 11th, 21st, 16th and 47th and although Kodaira only ranked 13th 12 months ago, the most important stat to ponder looks to be Scrambling. The first and second in 2017 ranked first and second for Scrambling, Grace ranked third in 2016, the playoff protagonists four years ago, Jim Furyk and Kevin Kisner, ranked first and second, and until last year, when the number one scrambler, Dustin Johnson, only finished 16th, we'd had a 10 year stretch when whoever had topped the Scrambling stats for the week had finished inside the top-10. And incredibly, eight of the top 10 scramblers three years ago finished tied ninth or better. Here's the latest PGA Tour Scrambling stats - they might be worth a look. Being a seaside links, Harbour Town is exposed and wind-affected so great wind exponents do well here and the early forecasts suggest it might get quite breezy this week, with Friday looking particularly fresh. It's a bit more open than this track, but form at the Seaside Course, Sea Island, home of the RSM Classic, is well worth considering. It's only around the corner so it makes sense that it should correlate nicely and it does. There have only been nine editions of the RSM but there are plenty of examples of players playing well at both events and the first three RSM Classic winners all had a top-six finish here on their CV too. It's a very similar exposed, wind-affected, seaside course so it's no surprise that form there stands up well here. Other courses to consider are Waialae Country Club, home of the Sony Open in Hawaii, Colonial Country Club, venue of the Crowne Plaza Invitational, TPC Southwind, which hosts the St. Jude Classic and one that's only just been added to the PGA Tour schedule - the Corales Puntacana Resort & Club Championship, home to the Corales Puntacana Resort & Club Championship, won earlier this month by Graeme McDowell, the winner here six years ago. Given this event immediately follows the US Masters again, as it has for the last six years and as it did between 1983 and 2010, I've taken a look at how the winners here this century had fared at Augusta. It's a mixed bag and it doesn't reveal an awful lot but given nine of the last 12 winners have either not played there or missed the cut at Augusta, a high finish in last week's major could even be construed as a negative. Kodaira shot consistent if unspectacular rounds of 71-74-71-72 to finish on level par and tied for 28th and he finished just a stroke behind Si Woo Kim, who he beat in a playoff here. Kim has started slowly at Augusta, with rounds of 75 and 72 before he shot 68 and 71 over the weekend to catch the eye. We've seen a bit of a shift in the profile of the winners here of late. Kodaira was 28 when he won last year and the two before him were both 27, but 12 of the previous 14 winners were in their 30s and Furyk was 44 when he won four years ago so experience often counts for plenty at Harbour Town. Harbour Town is a tricky track that doesn't suit everyone and course form stands up really well. In its 50-year history, ten men have won the event more than once and Davis Love III has won it five times! In contrast to last week's US Masters (De-Brief here), where being up with the pace is absolutely crucial, this is a venue where many a winner comes from way off the pace and a late rally in round four often gets the job done. The leaders are always vulnerable here and last year's winner, Kodaira, a pre-event [500.0] shot, who was matched at [1000.0] after a slow start had seen him trail by nine after round one, was matched at [700.0] before he began the final round six off the lead. And he's far from the first to win from off the pace. Prior to last year, four of the previous five winners had trailed by four strokes with a round to go and the odd one out, Branden Grace, in 2016, had trailed by three. In addition to the last six results, Brandt Snedeker beat Luke Donald in a playoff in 2011, having trailed by six after 54 holes, but Stewart Cink easily trumps them all. Back in 2004 he came from an incredible nine shots back to win, so if your picks start slowly, don't give up on them and taking on the leaders with a round to go has been a profitable exercise of late. Dustin Johnson is in the line-up because he's sponsored by RBC and that's probably the only reason why. He'd just signed up with them when he finished 16th 12 months ago and prior to that his only course form was two missed cuts in 2008 and 2009. He's hard to fancy and arguably worth taking on. I layed him for a top-10 finish last year and I'm tempted to do so again, although he's been ridiculously consistent of late. Francesco Molinari has course form here over the last three years reading 45-22-49, having stayed away following a missed cut in 2011 and he's equally tough to fancy, given he has to overcome Sunday's disappointment. Another that needs to overcome the disappointment of just coming up short at Augusta is Xander Schauffele, who was 32nd on debut here 12 months ago, and at the same price, Bryson DeChambeau, who fell away after leading the US Masters early on in round two, makes more appeal. This is DeChambeau's fourth appearance and following a fourth placed finish on debut in 2016, and a missed cut in 2017, he again contended 12 months ago, eventually finishing third. Given Augusta contenders don't play especially well here, I don't fancy anyone towards the front of the market and as a consequence, I like far too many further down the list. I've managed to limit my selections to a dozen but I could easily have backed a few more! Matt Fitzpatrick, who really caught the eye after a slow start last week, and who finished 14th last year, would be my strongest fancy but I was happy to play a plethora of outsiders, as I do most years here. Si Woo Kim very nearly obliged 12 months ago, when he traded at a low of [1.33], having been backed before the off at [120.0], so I'm hoping for a similar result this time around but I've only played with small stakes and I'm looking forward to backing a few from off the pace and/or taking on the leaders on Sunday morning.